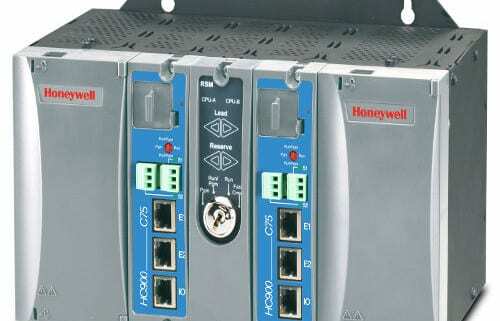 Electronic Control Corp is pleased to announce that we are now a certified Honeywell HC900 Systems Integrator. The Honeywell HC900 is a reliable and powerful, yet cost effective controller that is adaptable to control nearly any industrial process. From small batch operations to controlling an entire plant process, the Honeywell HC900 is the answer to the demands of modern process control. ECC chose to factory train and certify our engineers on the HC900 system because its simple and universal nature allow for fast start-ups, easy troubleshooting, and minimal software maintenance. It may be expanded with up to four additional remote racks. Additionally the HC900 may be interfaced with up to 32 devices such as peer to peer with other HC900s, and over Open Ethernet/Modbus RTU with SCADA systems and multiple HMIs- simultaneously. These two popular protocols allow for easy conversion to other protocols including Baknet and wireless LAN. Email capability lets alarm and event messages be sent to up to three email addresses. Connectivity is simple with dedicated communication blocks in the function block architecture! Function block architecture offers many advantages over traditional controller logic, due to the simplicity of pre-made function blocks. Why reinvent the wheel when over 125 function blocks can be used in any combination to write your program. Mission critical applications require redundancy. Honeywell’s redundant control operation fits our goal to maximize up-time when you need it most. Even in the event of full CPU or power supply failure, Honeywell’s system fails over seamlessly to redundant components. Two CPUs run the same process and read inputs; however, only one CPU activates outputs at a time. A Redundant Switch Module (RSM) between the two CPUs shows which is lead and which is reserve, and allows the user to manually switch between them at any time. Three rack sizes of the HC900 are available to better tailor to your specific needs. There are also three steps of CPU processing speed to match the demand of the application. ECC is capable of installing and programming Honeywell’s matching HMI (the 900 Series Control Station) in both 10″ and 15″ form factors built to NEMA 4X specs. These robust screens are programmable with many pre-designed graphics to save engineering time and costs. Straight forward graphics are user friendly for operators when accuracy counts. As well as directly controlling the HC900 for processes such as PID, Setpoint programming/scheduling, and sequencing; the 900 Series Control Station is very useful for data monitoring and logging. Data can be stored internally and accessed remotely via USB memory or web server. Monitoring trending values can prove to be invaluable for streamlining your process and increasing efficiency. We at ECC want to deliver top quality products and components to our valued customers. 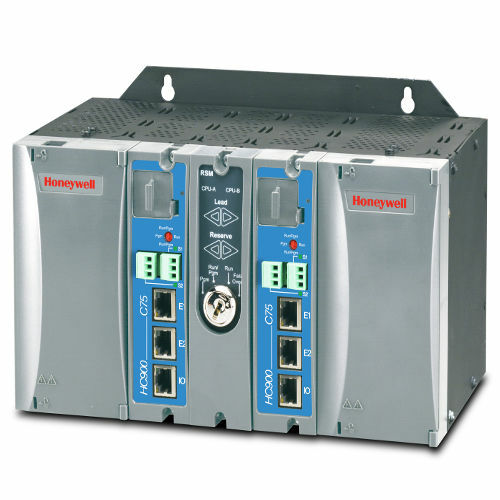 We feel that the Honeywell HC900 can be utilized to best fit your control processing needs. The completion of this training signifies our commitment to serve our customers.